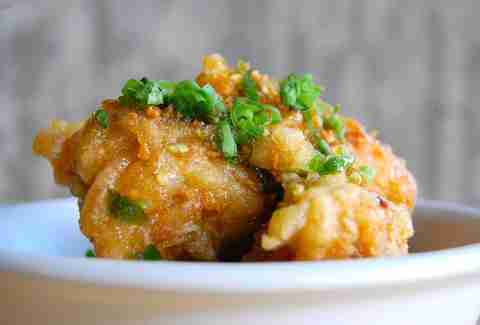 A plate of these spicy, reddish-colored fried chicken wings w/ a chili caramel glaze, peanuts, and scallions only costs four dollars, but you’ll probably want 16 bucks worth... either ‘cause they’re just that good, or because... um, there’s only three on a plate? Yup. 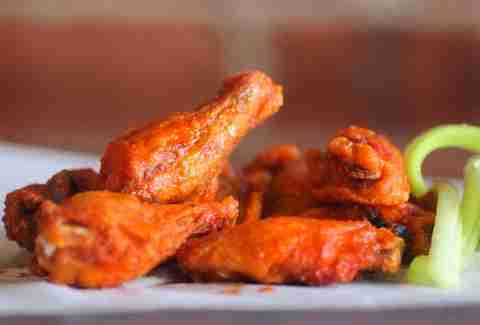 These dudes are known for repping Philly with their cheesesteaks, but they’re making Buffalo proud with authentic-style wings fried crispy, and served either regular or hot. 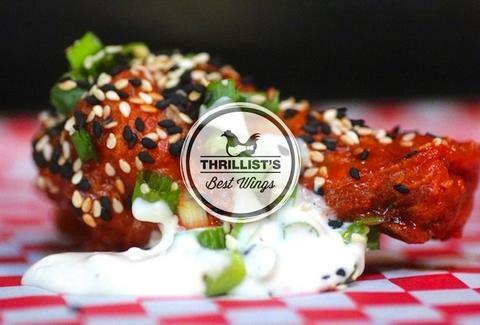 Besides serving five kinds of their titular dish, this dive-y SoDo spot has got crispy poultry parts smothered in their smokey, signature wing sauce, and served with a house-made blue cheese dressing. 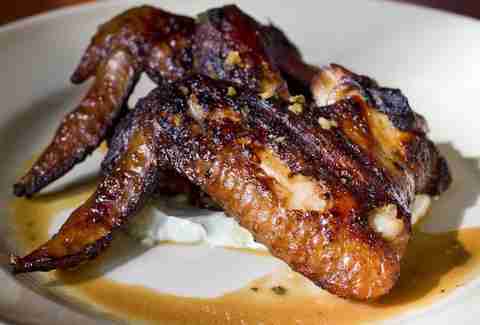 Tom Douglas’ smokey hot-pepper wings w/ cilantro sour cream are what he calls “He-man” sized, and they definitely have the power of Greyskull to satisfy any late-night craving. 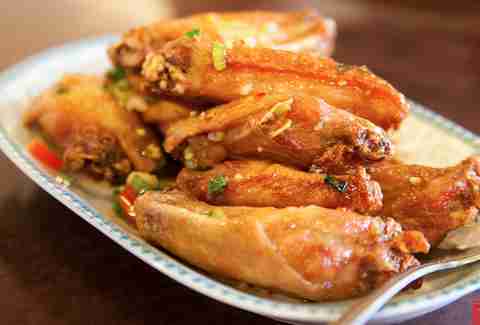 The Chinese-style jointed wings will... waitforit... bowl you over with their sweet, garlic-heavy flavor, and with the fact you’ve gotta hit this old-school bowling alley to get ‘em. 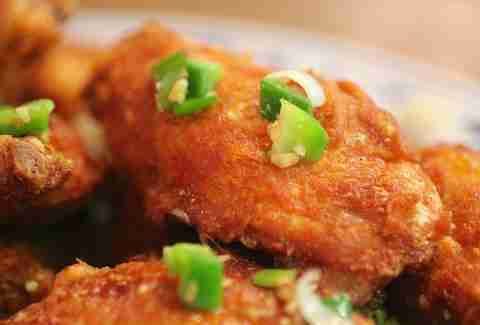 Try the slighly spicy/garlic-y bits of flightless bird at this ID mainstay and you’ll understand what the rapturous reviews of their deep-fried Pepper Salted Chicken Wings are all about. 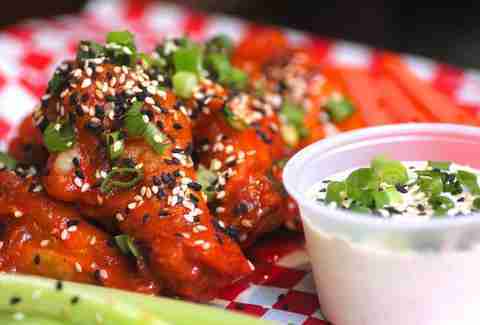 This Madison Park mainstay makes classic Buffalo-style wings that’re spiced with a house-made marinade, served with a house-made blue-cheese dressing, and topped with toasted sesame seeds. 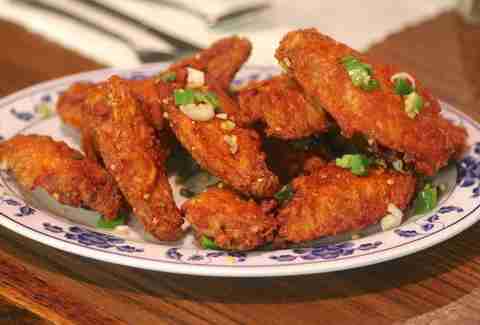 Oh, and they come in BBQ and teriyaki too. 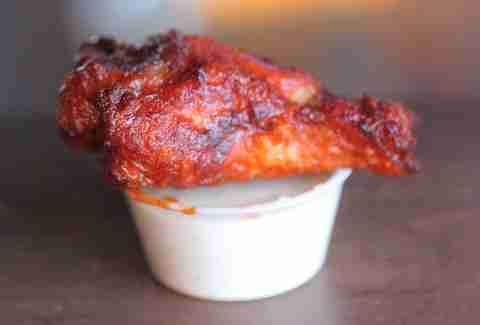 Just like the other T-Doug wings on the list, these suckers are huge, plus they come in two flavors (smoked chili w/ kimchee ketchup, or salty caramel, serrano & garlic), and are fried about the same number of times you actually watched Wings: twice.